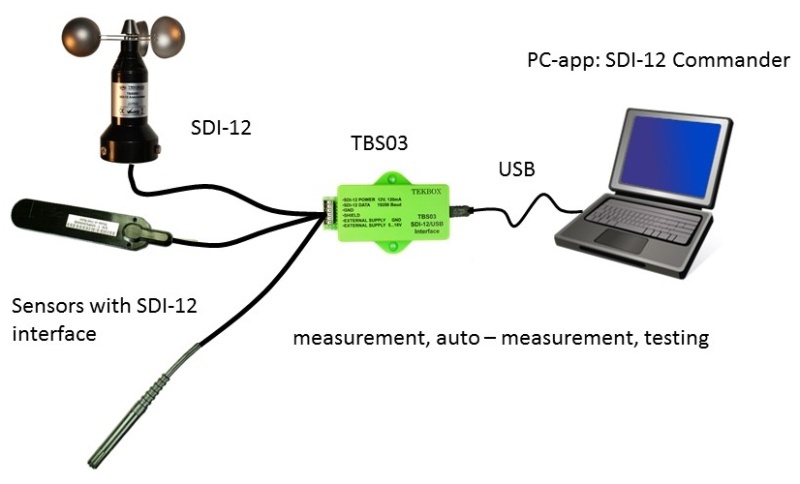 The TBS03 SDI-12 to USB Converter is an Interface for connecting a PC to one or more sensors with an SDI-12 interface. 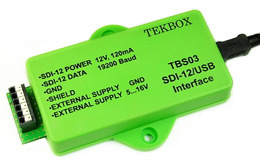 The TBS03 connects to the USB interface and provides SDI-12 compliant supply and data interface. 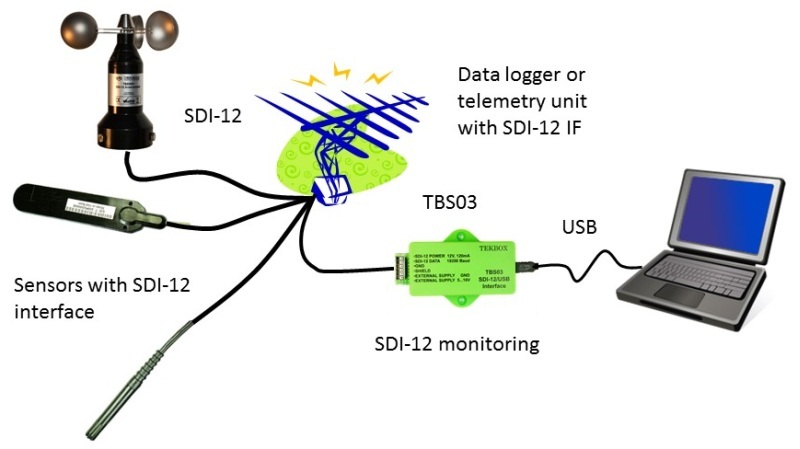 TBS03 is a versatile tool for everyone who designs sensors and data recorders or who installs tests or maintains SDI-12 based data acquisition systems. It is available in three variants – one option adds auto measurement and SDI-12 interface monitoring capability and another option adds test cases for SDI-12 protocol testing.